Henry Arroliga lives in South Texas’ Port Isabel Detention Center, one of the nation’s largest immigration detention facilities. After 17 years of living illegally in the United States, he’s bracing himself to return to his native Nicaragua. Although Arroliga could very well be deported within the next month, the 2010 U.S. Census will count him as a resident of Los Fresnos, in Cameron County. His short stint at Port Isabel will pay dividends to the city, county, and state for the next decade. Arroliga is one of more than 30,000 immigrant detainees who will be counted in this year’s census. Four hundred billion dollars in federal funding over the next 10 years will be distributed based on the count, making detainees worth thousands of dollars to cities, counties, and states where they are briefly detained. The government will allocate more than $100 million in additional funds to places where immigrants are detained. For decades, the government has included prisoners in the census, regardless of their immigration status. In the past, the impact of immigrant detainees has been slight. This is the first decennial census since the re-organization of immigrantion agencies and the subsequent boom in immigration detention. Immigration prisons have expanded from 7,500 beds in 1995 to more than 30,000 in 2010. About one-third of the nation’s immigrant detainees are held in Texas. director for prisoner operations, says that recent Border Patrol crackdowns like Operation Streamline have sent the number of immigrants in Marshals’ custody through the roof. Operation Streamline mandated that charges be filed against virtually every person caught crossing the border illegally. Like ICE detainees, these immigrants will be counted in the 2010 census. The Census Bureau’s inclusion of immigrant detainees has received little notice. It comes at a tense time in the immigration debate, with reform advocates facing a challenging political climate. This year’s population count points to an often ignored irony: The country’s detention facilities are concentrated in districts represented by some of Congress’ most outspoken advocates of reform—including several South Texas congressmen who will benefit from counting immigrant detainees. U.S. Rep. Solomon Ortiz, a Corpus Christi Democrat, introduced a comprehensive immigration reform bill in the House this spring. Yet with about 5,000 beds for immigrant detainees, his South Texas district stands to see millions of additional tax dollars allocated on the basis of the census. Until this census, the count had never identified exactly where “group quarters” like prisons are and how many people occupy them. For the first time, this census will let states decide whether to count detainees in local populations. By excluding prisoners, states would get a more accurate population count and would ensure that funds are not distributed according to locations of large detention centers. The amount of federal funding directed to the state would not change. Counting prisoners—residents or immigrants—is against Texas state law. “A person who is an inmate in a penal institution or who is an involuntary inmate in a hospital or eleemosynary institution does not, while an inmate, acquire residence at the place where the institution is located,” reads Texas Election Code Section 1.015. Nevertheless, the census counts them as residents. “There’s a clear discrepancy between state law and the Census Bureau’s methodology,” said Peter Wagner of the Prison Policy Initiative, a Massachusetts-based research group. Congressman Ortiz had no comment on how detainees could affect federal funding and redistricting. Some of his former supporters see his willingness to profit from his district’s immigrant detainees as evidence of hypocrisy. “I can’t think of anything more two-faced,” said the Rev. Miguel Rivera, president of the National Coalition of Latino Clergy and Christian Leaders, and an advocate for immigration reform. To the Census Bureau’s dismay, Rivera has urged undocumented immigrants not to fill out the census forms. “It’s our greatest bargaining chip,” he said. “The states and counties want the funding, and we want the legalization.” Rivera’s campaign has received considerable attention, and while many Latino leaders disagree with his approach, he is convinced that threatening to withhold the instruments of federal funding is the way to attract politicians to the table. Within facilities like Port Isabel, detainees likely won’t be able to opt out of the census. According to Census Bureau officials, for the last month detention center employees have been completing census forms on behalf of inmates like Henry Arroliga. The issue has made Rivera and U.S. Sen. David Vitter, a Louisiana Republican, unlikely bedfellows. Vitter, along with several other conservatives in Congress, supported an unsuccessful effort last fall to exclude noncitizens from apportionment and redistricting counts. “I don’t believe noncitizens should be counted in congressional reapportionment,” Vitter told Congress last fall. “I don’t think states which have particularly large noncitizen populations should have more say and more clout in Congress, and that states like Louisiana that don’t should be penalized.” Or, if you follow the logic, that states like Texas should be rewarded. In Raymondville, a rural city 100 miles south of Corpus Christi, the census count is buzzing along. The Census Bureau has a booth outside City Hall. Local TV stations are advertising the importance of filling out the forms. People have been hired to distribute forms, part of a 1.2 million temporary work force nationwide that will make up the largest civilian mobilization of Americans in history. If its population exceeds 10,000 in the census, Raymondville would be in the running for a panoply of state grants. The only way that could happen is if the city’s immigrant detainees are included in the count. “Overall, we would benefit if we could hit that mark,” Garcia said. So would La Villa, just north of McAllen. The 2000 census found its population to be 1,305. Just a year later, the Louisiana-based private prison company LCS Corrections Services Inc. opened the East Hidalgo Detention Center, which houses up to 990 immigrant detainees. According to its warden, the facility is almost always full. Experts say Cuellar is wrong. “Immigration prisons are funded by the Department of Homeland Security, not formula grants” based on census data, said Wagner of the Prison Policy Initiative. Like Rep. Ortiz, Cuellar is a longstanding advocate of immigration reform. His attitude about immigrant detainees in the census has disturbed immigration-reform advocates in his district. One reason Texas’ congressmen and state representatives might be looking the other way is that 375,000 Texans were not counted in 2000, according to a Census Bureau study. That cost the state a huge amount of federal dollars. The main culprit, experts agree, was the difficulty of getting undocumented immigrants—including an estimated 150,000 in the Rio Grande Valley alone—to participate. This year, the Census Bureau has spent millions on a campaign to convince minorities, including undocumented immigrants, to get themselves counted. Still, community organizers and activists along the border say the effort faces considerable challenges. “The census worker shows up and expects people to be compliant,” said Michael Seifert of the Equal Voice for America’s Families Network. “Much laughter is heard in the cantina around that idea.” During the 2000 census, Seifert said some immigrants distrusted and feared the government—a fear then inspired by President Bill Clinton’s 1996 immigration enforcement bills. “I find it so sweetly ironic that those who have been caught up in the biggest dragnet of a civilian population in American history—the detainees—will be included in the census count, and therefore serve as a ‘corrective’ to all of those people who will ignore the census request,” Seifert said. The issue could be resolved if Texas decides to remove immigrant detainees from the count before distributing state funds and addressing redistricting. 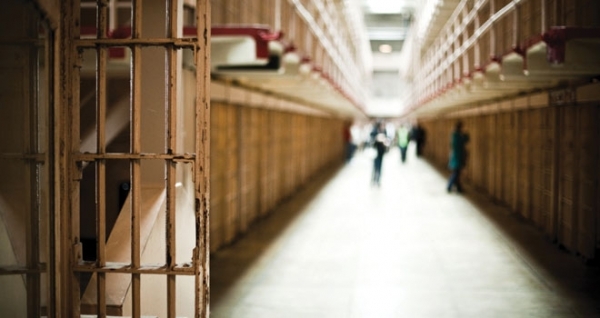 The Census Bureau has agreed to release data on inmate populations earlier than usual to let states and localities consider it in apportioning districts for 2011 and 2012 races. It’s an issue that could be broached in the 2011 legislative session. Bills to make such adjustments are already pending in New York, Maryland, Illinois, Florida and Wisconsin. So far, including immigrant detainees in Texas’ census count has been a non-issue. Kevin Sieff, an Observer contributing writer, lives in Washington, D.C. In many ways, the first decade of the 21st Century was the flip side of the last decade of the twentieth century in South America.